Email me to schedule any of these services. In the basic job doc genre for untenured (ie assistant professor or NTT positions), I work on cover letters, CVs, teaching statements, research statements, diversity statements, dissertation abstracts, and syllabi (I do other documents, but they are explained below). When working together on your job documents for academic positions, we will go back and forth through edits until the documents are in short-list-worthy state. Up to four edit drafts are included in the one hour of work, and the process takes about one week per document. Most people ask me to work on 3 or 4 documents–job letter, cv, and teaching statement, and research statement. One document is one hour of work. 3 hours of work at $150/hour, with the 10% discount for 3-4 hours, comes to $405. If you need to add a fourth document, such as a two-three page research statement, the total will come to $540. There is a 15% discount for 5-9 hours, and a 20% discount for 10+ hours. Once we decide on the hours needed, we set a date on the calendar and I invoice you, and payment of the invoice holds the spot. I work only with advanced ABDs, Ph.D.s, MFAs, etc. I edit your postdoc applications to demonstrate the principles of urgency, legitimacy, and viability. The cost of postdoc work depends on the number of documents required and their page length. Most postdoc packages will typically come to about 4-6 hours. A 1-2 page research proposal by itself will take 2 hours, 3-6 page proposal will take 3 hours, and a 7-12 page proposal will require 4 hours. A postdoc cover letter requires an hour. This work is also $150/hour. If you want to work on multiple postdocs, I’ll also inquire how much recycling or overlap you think is possible between the applications, and reduce the cost accordingly. This work is identical to the Tenure Track Academic Job Application work above; I simply charge the tenured more! The cost is $200 per document or hour of work. The same discounts apply: 10% for 3-4 hours, 15% for 5-9 hours, and 20% for 10+ hours. I assist you in developing your Syllabi and Course Proposals, which I’ve come to understand are much harder for new scholars to develop than one would imagine. I read them for wording and organization, but also for content, level of rigor, reading load, and appropriateness of language and work load for the level and type of student/institution. These are 1 hour each, at $150/hour for four drafts of edits. I do reviews and edits of tenure packages, including the statements of research, teaching, and service. I can also review your CV according to the formatting requirements of your tenure process. I can also consult on choosing external reviewers, handling complicated cases, and answer other queries related to the tenure process. The cost of tenure review help is $250/hour and I can estimate the number of hours once you tell me what exactly is required for your particular institution’s process. The usual discounts explained above apply. I edit Job Talks taking into account both general presentation principles as well as any specific instructions you have been given. I read for professionalism of approach, clarity and organization, persuasiveness, quality of evidence and argumentation, balance of data and theory, and soundness of conclusion. A Job Talk edit requires two hours at $150/hour, totalling $300, plus (only in the cases where a short-deadline overflow edit is necessary due to timing) a reduced overflow fee of $100 = $400. This covers two drafts of edits of your job talk. I assist you in evaluating the offer, clarifying your requests, crafting email and verbal communications, interpreting responses, and knowing how hard to push and when to stop. Most clients increase their offer by thousands of dollars in salary, research support, travel support, moving expenses, etc. Negotiating Assistance is $500/first week ($600 for tenured positions), and a week is virtually always sufficient (it goes down to $400 ($500), and then $300 ($400) for subsequent weeks in the extremely rare event that this is necessary). I count the week as 7 days of work, and they don’t have to be sequential. We can start immediately, and I make myself available by email and gchat for the quick turnaround of responses required by most negotiations. While I technically don’t work on weekends, for NA clients only I check in to keep up with and respond to urgent updates. Ongoing “Retainer” Fee for job market-related queries and consultations. Only for previous document editing clients, I will arrange for a Retainer Fee to answer up to four emails per month on job search-related questions. These are small questions, such as “what should I wear to the interview?” or “Should I tell the committee about my new grant?” These are not major career consultations! (That service is below–please keep reading!). The cost for the Retainer Fee is $100 for up to four emails per month. I edit your Grant Applications to demonstrate the principles of urgency, legitimacy, and viability through the application of the Foolproof Grant Template. The cost of Grant work depends on the number of documents required and their page length. A 1-2 page grant proposal by itself will take 2 hours, 3-6 page proposal will take 3 hours, and a 7-12 page proposal will require 4 hours. This work is also $150/hour. If you want to work on multiple grants, I’ll also inquire how much recycling or overlap you think is possible between the applications, and reduce the cost accordingly. Please note that while I primarily work on social science and humanities grants, I do work on science grants on a case by case basis, and am happy to discuss it with you. The usual discounts explained above apply. We love to work on Book Proposals! We show you how to organize a Book Proposal to include all the required elements, and to focus on the marketing aspects instead of the excessive scholarly detail that inexperienced scholars mistakenly include. The standard 6-8 page book proposal is 3 hours, and the cost is $180/hour. The discounts explained above apply. On a case-by-case basis Dr. Karen will edit Article or Chapter Mss. I read for organization and language, soundness of evidence and argumentation, balance of data and theory, and suitability for the journal being targeted, as well as basic issues of wording, grammar, sentence structure, and style. In particular I flag weak logic, jargon, word repetition, and the scourge of redundancy. The cost is $240/hour and the number of hours depends on the page length of the mss., but in most cases, the cost is 2 hours for one draft of edits or 3 hours for two drafts. The usual discounts explained above apply. Find the Out-Academic/Post-Academic/Alt-Academic Services here. We now offer assistance in applying to graduate programs. The work is done by a tenured TPII staff member who has served as Director of Graduate Study in her department. She works will all fields, from the initial planning stages, to editing your Statement of Purpose and other application materials, and prepping for admission interviews. 1. A 2-Email Consultation Service – $150. We can discuss the pros and cons of attending, and also, which institutions, departments, and/or offers are the best for your goals (this service is available only for applicants in humanities and social sciences). 2. 30-Minute Graduate School Consultation by Skype – $125. Wondering whether to go to graduate school? During this 30 minutes we’ll talk about your goals and ask the hard questions that anyone considering graduate school must answer. 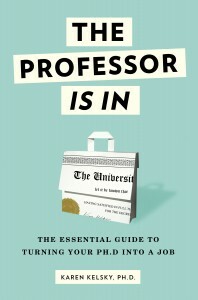 These may include (but are not limited to) questions of financing and debt, the hierarchy and status of graduate programs, domestic vs. foreign graduate programs, advantages and pitfalls of interdisciplinary PhD programs, the job market, and evaluating potential advisors and areas of study. (this service is available only for applicants in humanities and social sciences). 3. 2-Email “Application Assistance” Service – $150. This service is designed to walk you through questions that may arise in the process of applying to graduate school, for example, how (and whether) to reach out to a potential adviser, who should you get letters of recommendation from, and other miscellaneous issues. 4. Document Editing – $100. We help you edit your statement of purpose; includes two rounds of edits — a structural/conceptual edit (first round) and a line edit (second round). Each subsequent statement of purpose for additional programs is $50. Editing for writing samples, statements of diversity, and other documents that may be required for an application to a PhD program is also available; pricing depends on the length. 5. Interview Preparation – $250. This hour-long Skype session is designed to help you prepare for an interview for a PhD program. We will go over “scripts” for likely questions, streamline your ability to talk about your research experience and goals, develop appropriate questions to ask your interviewees, and make sure that your affect and body language signal calm confidence. 6. NEW: How To Contact a Prospective Ph.D. Advisor Guidance Package – $24.99. A package of materials that walks you through the composition of an email of inquiry to a potential Ph.D. advisor, with instructions and examples drawn from STEM, social science, and humanities. Does NOT include live individual editing. Find this product here. Normal turn-around time is 2-4 business days. I do not work on weekends or holidays. Last-minute/Tight deadline Overflow responses and scheduling available. Overflow Fees allow you to start earlier on the schedule but don’t change the pace of the work. Quick (48-hour) turnaround edits are always possible through the Quick Reviews of the Cover Letter, CV, Teaching Statement, Research Statement, and Diversity Statement, available here.